Incredible wildlife in the largest city in India? Who knew?! I had heard a rumor that flamingos descend upon Mumbai every winter, which was so intriguing that I found myself at the doors of the Bombay Natural History Society (BNHS) as soon as I reached Mumbai. Founded in 1883, the Bombay Natural History Society is one of the largest non-governmental organizations in India that is engaged in conservation and biodiversity research. My family and I visited their main office in the Colaba neighborhood of Mumbai to get the scoop. 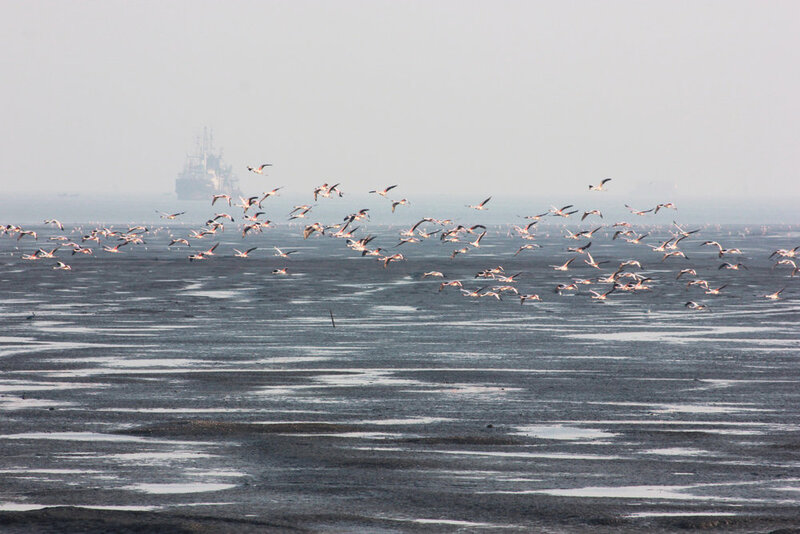 The staff at Hornbill House told us that, yes indeed, upwards of 20,000 Lesser Flamingos flock to the Sewri mudflats every winter in search of food! They come from their breeding grounds in the Rann of Kutch, and create a spectacle of pink across the mudflats as far as the eye can see. 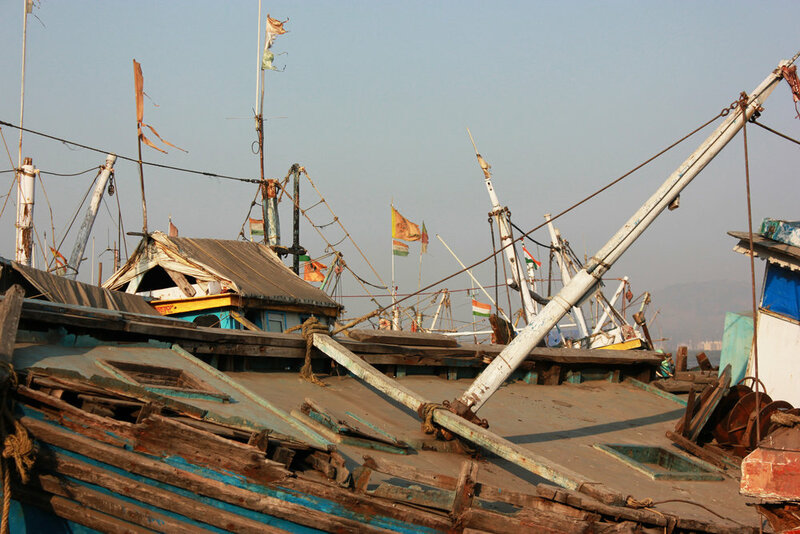 BNHS organizes tours and they even have a Flamingo Festival to celebrate their annual migration and to raise awareness of the biodiversity of the mudflats of Mumbai. I was quite impressed with BNHS, and to the delight of the front desk person I promptly decided to become an overseas member. We also got to meet one of their wildlife biologists and were given a quick tour of their archives, which included rare and extinct bird and butterfly specimens preserved from the late 1800s. We traveled on our own to see the flamingos a few days later. It was astonishing. At low tide small tidal pools dot a sea of mud, each filled with food for the grazing flamingos to enjoy. 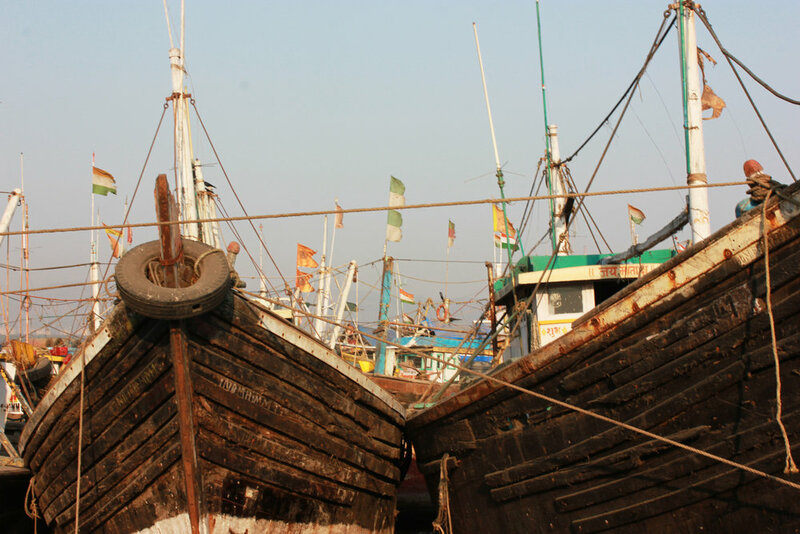 Making the scene even more picturesque is a row of colorful wooden boats locked in mud. It almost feels like passing a marine graveyard. It's oddly beautiful. As you reach the end of the jetty these little pink specks in the distance come into view, and you're rewarded with an incredible density of wildlife. The flamingos were not the only surprising wildlife we came across. 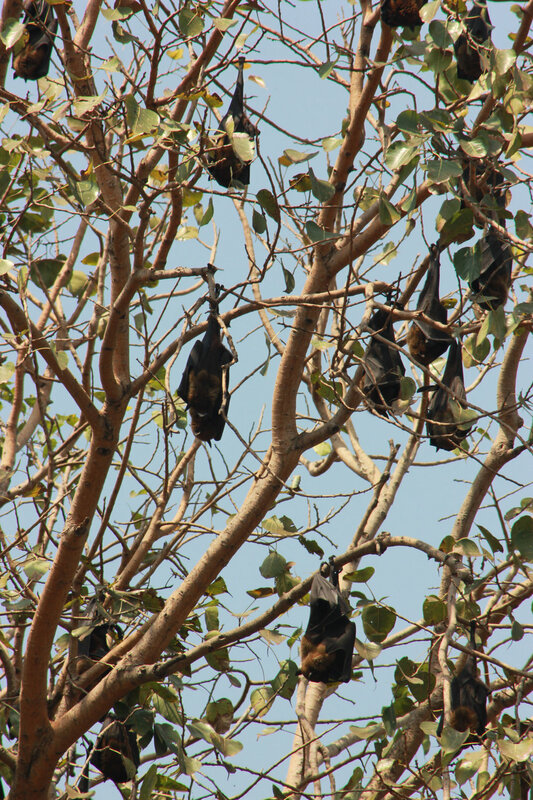 While driving around busy Colaba my husband noticed a tree that was full of bats! Thinking we might be nuts we looked it up and, lo and behold, Mumbai has a number of small fruit bat populations, including one in Colaba! 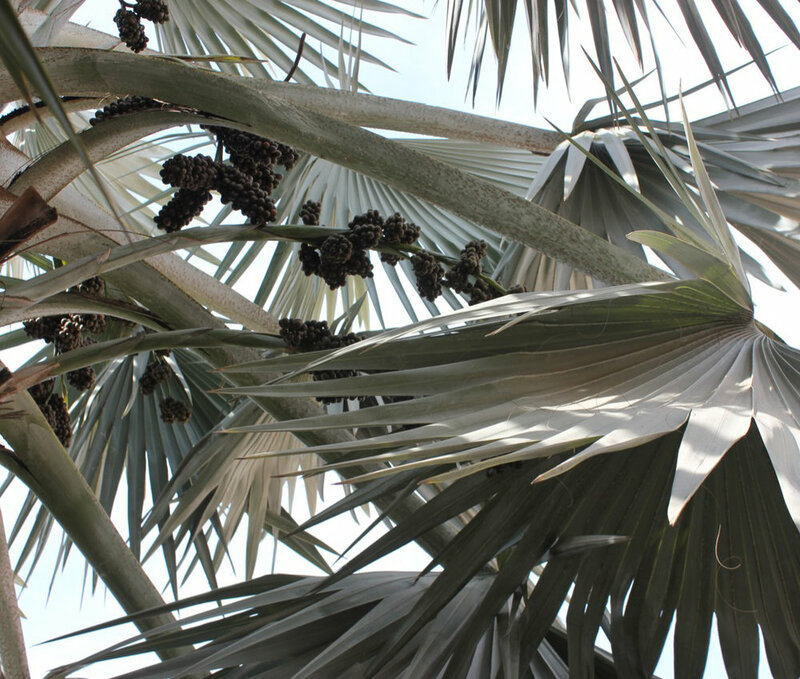 Being fruit bat lovers, we went back the next day for a closer look and again, it was a beautiful sight to see in this bustling city. Mumbai's rich ecology shows that even the densest urban centers can support incredible biodiversity. If you visit Mumbai in the winter don't miss the flamingos. More interest means more attention and effort paid to conserving the mudflats and welcoming these pink beauties every year. And don't forget to check the tide schedules!